It's pretty funny mod where you will be able to play in a simple mini-game in MCPE 0.11.1! The goal - to run as far as possible. 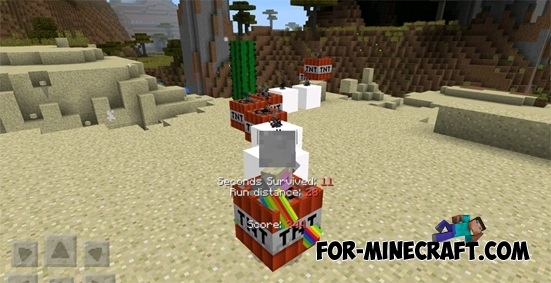 When you're running, the back of your character will be generated the TNT road. To start the game you need to put a TNT block on a flat ground surface, and then you need to tap on the him.